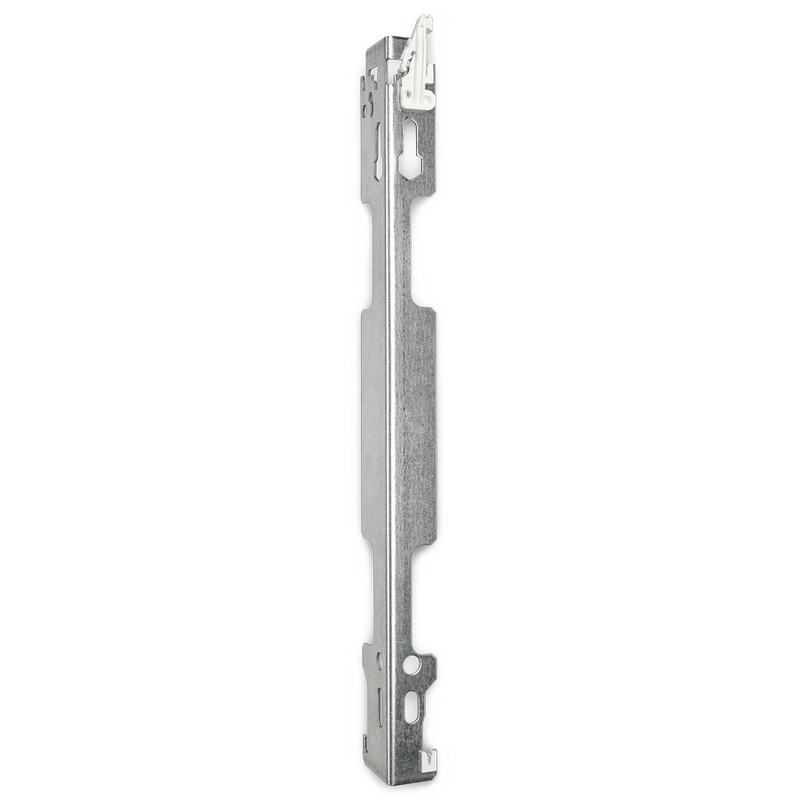 MONCLAC L bracket fits most radiator brands with welded lugs, where the height of the lug is between 20-40 mm. There is a built-in locking device, that prevents unintentional lift-off of the radiator. The distance from wall to lug is 27 mm as standard, but also other wall distances can be made. The height of the lug can be 20-40 mm and the thickness of the material in the lug can be max. 3 mm. The bracket is produced in galvanised steel 1,5 mm, the upper part and the foot inlays are made from polypropyle and polyamid. The brackets are packed loose in boxes or in sets, with or without accessories. All packaging material is recyclable. As the distance between the lugs is different from radiator to radiator, the bracket has to be adapted to the specific brand in question. The bracket can be made to fit most brands and radiator heights.